Albuquerque Police Officers Charged With Murder | Hupy and Abraham, S.C.
Common people, public figures and politicians alike have been calling for police accountability, in light of recent events across the nation. Officers in Ferguson, New York City and Milwaukee have all eluded murder charges after killing unarmed black men, but the two officers in Albuquerque, New Mexico who killed a homeless man weren’t so lucky. After a series of high-profile police shootings in recent months, this is the first case in which charges will be filed. And unlike the other incidents, Albuquerque District Attorney Kari Brandenburg will skip the grand jury process and present the murder case to a judge in a public preliminary hearing. The victim, 38-year-old James Boyd, suffered from mental illness and had a history of violent confrontations with police. Boyd was allegedly camping illegally in the foothills when it all began. Police launched a flash bang grenade at Boyd, who was holding two pocket knives and a backpack. Then, two officers fired six rounds, hitting Boyd with three. After Boyd fell to the ground, an officer released a police dog and shot him with bean bag rounds before handcuffing him. The incident was recorded on an officer’s helmet-mounted camera, and Boyd can be heard saying “I can’t move” and “Please don’t hurt me” while lying on the ground. Boyd later died from his injuries. APD detective Keith Sandy can even be heard calling Boyd a “lunatic” and some think he said he was about to “shoot him with a shotgun here in a second” hours before shooting him. Since the recording isn’t clear, there is disagreement about what was actually said. Both Detective Sandy and Officer Dominique Perez face a single count of murder. The district attorney has the option to pursue first- or second-degree murder charges. The charges filed against the Albuquerque police officers could mark the reversal of a national trend, in which officers typically haven’t been charged. 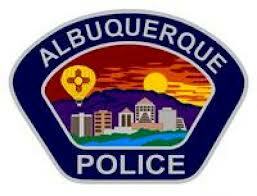 Even before this incident, Albuquerque’s Police Department had a questionable track record. Since 2010, there have been 40 police shootings, 28 of them deadly. Boyd’s death fueled protests throughout the community. Authorities fired tear gas during one demonstration while another shut down a City Council meeting. As a measure to initiate swift reform, the U.S. Justice Department has created an independent team to monitor the Albuquerque Police Department. The team will assess the police force's progress and report to a federal judge. Just a few days ago in Montana, Billings Police Officer Grant Morrison shot and killed 38-year-old robbery suspect Richard Ramirez after pulling him over. Ramirez was unarmed and worse yet, he was in a vehicle with three other people. Morrison could be seen on video crying shortly after the incident. Although charges aren’t likely, a civil rights lawsuit against Morrison and the Billings Police Department are certain. In 2009, after Curtis Harris was paralyzed by a Milwaukee police officer, Hupy and Abraham obtained a record $3 million settlement.